Janjira Sombatpoonsiri is currently Assistant Professor at Thammasat University’s Faculty of Political Science, Thailand, where she teaches International Security, Theories of International Relations, European Affairs and Violence and Nonviolence in Politics. Her academic interests include civic activism and democratisation, crowd control reforms and security sector governance in peace processes. Her first English book, Humor and Nonviolent Struggle in Serbia (New York: Syracuse University Press, 2015), looks at the use of humour as a nonviolent vehicle of democratic change particularly in Serbia’s 1990s. 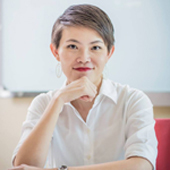 Her latest publications include “The 2014 Military Coup in Thailand: Political Implications for Conflict and Resolution,” Journal of Asian Peacebuilding (forthcoming in 2016); “Securitisation of civil resistance: the Thai junta and beyond,” Journal of Resistance Studies, vol. 1, no. 2 (2015): 85-126; and “Nonviolent action as the interplay between political contexts and ‘insider’s knowledge’: exploring Otpor’s preference for humorous protest across Serbian towns,” in Civil Resistance: Process and Practice, ed. Kurt Schock (Minnesota: University of Minnesota Press, 2015), 59-92. Sombatpoonsiri also serves as the co-Secretary General of the Asia Pacific Peace Research Association (APPRA). She has published op-eds in Thailand’s Matichon Newspaper, Opendemocracy, Peace Direct and The Conversational Global.